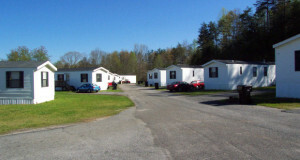 We have managed, sold, assisted in the purchase of, and have acted as court appointed receiver of a multitude of manufactured home park communities in the Northeast and Midwest. Over the years, we have developed the experience to effectively valuate, market, sell and manage Mobile Home Communities and RV Parks. Our team offers a unique combination of experience including MH/RV community ownership, management, acquisition, sales, land banking, land assemblage, development, property marketing and research. We have culminated a strong reach into the local, regional and national investment communities. Our team leverages comprehensive resources for property marketing and market knowledge to deliver superior results for buyers and sellers of manufactured housing and recreational vehicle communities. Contact us today to discuss your property, or to discuss your plans to acquire additional Mobile Home Parks.